Many emergency responders including Lifeguards, complete a patient care report on the incidents they respond to. Responders involved in the incident need to complete the appropriate report form as quickly as possible after providing care. Record only factual information of what was heard and seen and any action taken. Do not give personal opinions. Documentation is important for legal reasons as well as for tracking when, where and how often incidents occur. 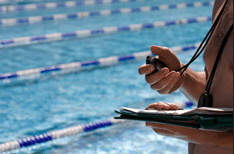 Reports provide valuable information for facilities to use when they assess safety protocols, such as staffing levels or placement of lifeguard stations. Are your descriptions detailed enough? Are the abbreviations you used appropriate and professional? Is your report free of grammar and spelling errors? Is the chief complaint correct? Is your impression specific enough? Are all other details in order? Upon the completion of every incident, your report documents all events that occurred. This includes a detailed assessment of the situation and a full recounting of the treatment administered to the patient. It is specific, informative, free of ambiguity and negligence. Which arm is the patient having pain? Is it the upper or lower part of the arm? What was the timeline of the incident? Your report should paint a picture, but this is impossible to do without proper English. Besides not being accurate or professional, incorrect English may very well lead a reader to believe something false. For example, there may be confusion (and laughter) if a report says “patient fainted and her eyes rolled around the room.” Though this is a humorous example, dire consequence can follow confusing reporting. Reporting should be free of misspellings and the understanding of what you are trying to say should be clear. For example, the trauma surgeon should have a good understanding of the mechanism of injury that brought the patient to the hospital from reading your report. An area of the report that is frequently misused is the chief complaint which should explain why you were needed or why the patient is being treated. Chief complaint is not the cause of the injury. For example, a chief complaint is pain to the right lower arm, not the fact that the patient has fallen off a ladder. Using the patient’s own words is an appropriate practice if they describe symptoms of their chief complaint. An impression encompasses the reasons for patient treatment. Trauma and fall are too vague to be used as impressions. Include the body areas or symptoms that are being treated. In other words, what treatment protocol is being followed? If you are following a stroke protocol, and your assessment indicates a possible stroke, this should be included in your impression. Multi-systems trauma injuries bring additional challenges, but if multi-body systems are involved, they all should be included in your impression of the patient. The patient’s SAMPLE including past medical history and medications are important to note. Document the patient’s history completely. Remember bystanders or those close to the patient can often provide valuable information about the patient. Another important aspect to clearly document is the outcome of your treatments. Some reports have a standard text box that indicates improved, but in your narrative you should clearly document how the treatment improved the patient’s condition. After the incident and upon completion of the report writing, you may be asked to attend an operational debriefing. The goals of the debriefing are to examine what happened, assess the effectiveness of the EAP, condier new ways to prevent similiar incidents and to be alert for stress reactions after a critical incident. Be sure to avaoid assigning blame or criticizing anyone’s actions or reactions. For additional in-service training at your facility, contact the rescue professionals at Safety Training Pros 844-900-SAFE (7233). It’s that time of year again! Danger is lurking for your little goblins. A study published July 20, 2013 in the journal Pediatrics looks at nonfatal food choking incidents among children 14 years or younger in the U.S.
An estimated 111,914 children ages 0 to 14 years were treated in US hospital emergency departments from 2001 through 2009 for nonfatal food-related choking, yielding an average of 12,435 children annually and a rate of 20.4 visits per 100 000 population. The mean age of children treated for nonfatal food-related choking was 4.5 years. Male children accounted for more than one-half (55.4%) of cases. Of all food types, hard candy was most frequently (15.5% [16 168 cases]) associated with choking, followed by other candy (12.8% [13 324]), meat (12.2% [12 671]), and bone (12.0% [12 496]). Most patients (87.3% [97 509]) were treated and released, but 10.0% (11 218) were hospitalized, and 2.6% (2911) left against medical advice. This Halloween, are you prepared to come to the aid of a child in an emergency? Choking can occur when a solid object enters a narrowed part of the airway and becomes stuck. Young children are particularly at risk for choking because of the small size of their air passages, inexperience with chewing, and a natural tendency to put objects in their mouths. On inhalation, the object can be drawn tighter into the airway and block air from entering the lungs. A forceful abdominal thrust beneath the ribs and up into the diaphragm can compress the air in the chest and “pop” the object out of the airway. Direct compression of the chest over the breastbone can also create enough pressure to expel an object and is typically used for obese or pregnant victims with blocked airways. An emergency care provider must be able to recognize the difference between a mild blockage and a severe blockage. With a mild blockage, a child can speak, cough, or gag. This type of blockage is typically cleared by coughing. Encourage a child with a mild blockage to cough forcibly. Stay close and be ready to take action if things worsen. When a severe blockage occurs, a child cannot dislodge the object on her own. Signs of severe obstruction include very little or no air exchange, lack of sound, and the inability to speak or cough forcefully. The child may hold her hands to her throat as she attempts to clear an obstruction naturally. Please note: Abdominal and chest thrusts can cause internal injury. Anyone who has been treated for choking with these maneuvers should be evaluated by EMS or a physician to ensure there were no injuries. Ready to give yourself a treat and learn a few tricks at a first aid, CPR, and AED class near you?